Originally owned by the Gratias Family (founded in 1959), the Kelley family is the second family to operate this incredible property. 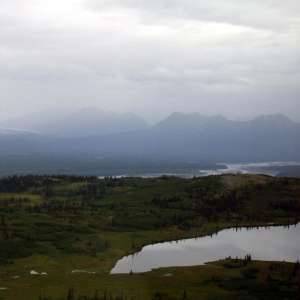 The Denali Highway was built as the road to travel to the Denali National Park. Our property provides lodging, food, gasoline, and cocktails in our bar. We are remote and off grid, truly located in the last frontier. 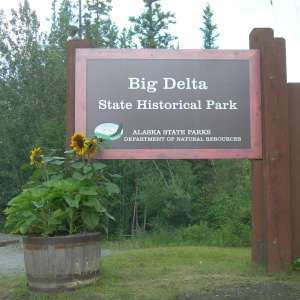 You can walk around our grounds and see a meat cache, trapper cabin, Denali work crew cabin (from when they were building the highway) and much more. WE live among the wildlife, you'll see moose, caribou, owls, eagles, ptarmigan, trumpeter swans, to Mount Hayes (13,832. ft. high) and Mount Deborah (12,688 ft. high) in the Alaska Range as you drive or bike the highway. Hmmm we couldn't find any listings within Alaska's Last Frontier that match your search criteria. Try removing filters or zooming the map out and searching again.